Well, the time is here again. Twenty-five years ago I began attending the IBO World Championship in August. In some ways it seems like it was just a few years ago, and in others it seems as if it happened in another lifetime. I’ve had as many ups as downs, but I continue launching arrows toward the scoring ring in hopes of hitting what I’m shooting at. Unfortunately, I’ve never been a person with natural talent. I’ve had to work really hard at the game to achieve any of the limited success that I’ve been fortunate enough to experience during my journey. One thing has remained constant through the years……………..I’ve met some phenomenal individuals, and I’ve become lifelong friends with many of them. I’m not sure when my desire to compete at a high level really started, but there is one event I can remember for a number of reasons. 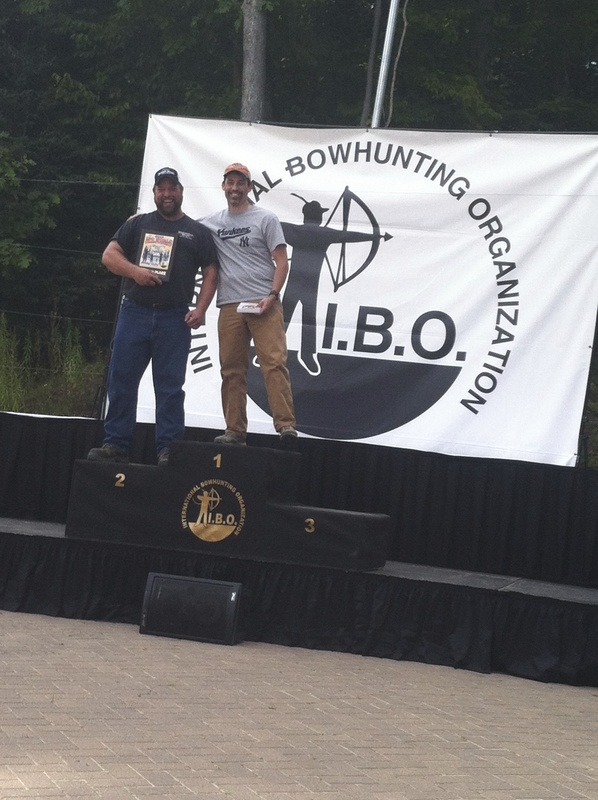 It was nothing more than an IBO World qualifier put on my Active Bowhunters out near Buffalo, N.Y. I had recently read in 3D Times about a guy named Scott Tozier who had won the IBO Indoor World Championship. I knew he lived in my home state, and I was pretty sure he would be at that tournament. The tournament was listed as a 30-target shoot. Although I thought I was a good shooter, I wanted to see if I could compete against one of the best in the country. After shooting a few practice arrows at that tournament, I walked to the first target. 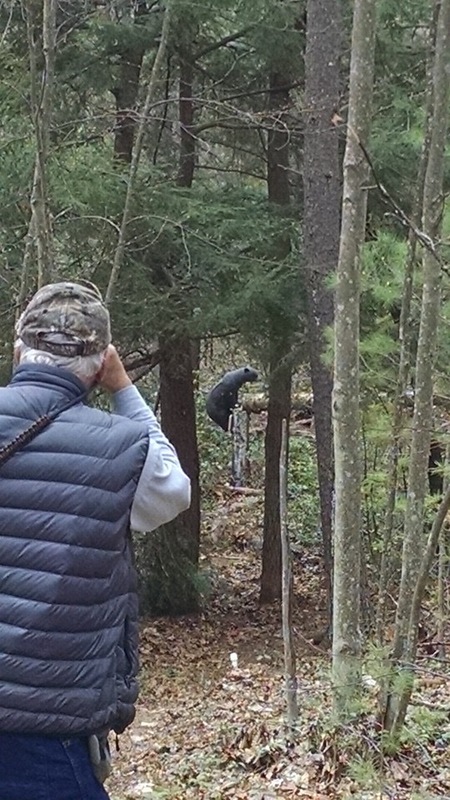 A downhill turkey at about 37 yards looked back at me when I stood on the stake. Unsure of my yardage, I set my sight and put the arrow directly in the center of the waddle for a 5. Disgusted, I went to the next target. It was a small deer up a small grade on a hill. I shot out the top of the 10 for an 8. Since scoring was 10-8-5 at that time, I went on a run. Over the next 28 targets I shot one 8 on a pretty tough course. I was ecstatic. When I go the results Tozier had won the tournament with a 293, and I came in second with a 291. Although I didn’t know Scott at the time, that one tournament opened my eyes that I had the ability to be as good as one of the best 3D archers in the game. It gave me a desire to push forward. Over the years, Scott and I became pretty good friends. We became teammates for some indoor and outdoor events as well as for the IBO National Triple Crown in the SPM class. Although neither one of us was as strong in indoor target archery, as a team we were hard to beat. He drove me, and I hope in some ways, I drove him to be better. We both went on to win a lot of things including our indoor state championship, which is always hard to win no matter what class you’re shooting in. Scott went on to win the IBO World a number of times in different classes, including SPM. Unfortunately, my luck always seemed to run in the other direction. Some unbelievable incidents due to equipment failures cost me some really big events. I was able to hold my own and finish at the top of my class in all of the major classes, and I’m probably more proud of that than any other archery accomplishment. If you can win in one class, you have the ability to be at the top of any other class. Scott and I are both living proof of that, so never let anyone tell you that you’re shooting a lesser class if you prefer to shoot one of the ones with closer yardages. Back to this year…………it all started with Lancaster. As I prepared for it with my buddies George Connors and Chuck Weeden, I was shooting some phenomenal scores with a BHFS set up, which is a pin without any magnification and a short stabilizer. I was regularly averaging in the high 640s. I was ready. 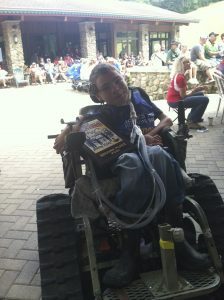 When I got to the tournament, it was as if the wheels fell off the bus. I suddenly realized that I was a phenomenal shooter in my own backyard…….probably like the majority of other shooters out there. I needed to work on getting over the hump. Throughout the spring and summer, I was able to shoot a number of times with Scott, Rick Baker, and Don Doherty. I also got to shoot with some of my longtime friends in New England, friends who have always been good archers, including Bill Romanchick, Dana Harding, Adam Carlise, Mike Lambertson, and many others. They all helped me to improve, and I felt like I was finally gaining ground. Don and I have become extremely close and as most of you know, we shoot the same class and have a great rivalry. While we both want to win, we both find great satisfaction in the other’s success. Don put on one hell of a shooting display over the course of the IBO National Triple Crown, besting the field by 20 points, which is almost unheard of for the overall in the triple crown. Although I’ve always wanted to win the National Triple Crown and have come so incredibly close a number of times, Don pulled it off on his first trip to all three of the shoots. I was disappointed that I didn’t make a good showing, but then I realized that the next closest guy to me was 20 points behind me —-I shot really well, but my big buddy just put it to me. I was happy for him, just as he would have been happy for me. Last weekend after the first day of shooting at the IBO World Championship, I felt like I shot really well. I was disappointed when I saw that Don had a rough day. It really wasn’t fair because he had to shoot in some bad weather, but I also knew if anyone had the ability to crawl out of the hole to make a comeback, it would be him, and I always route for my good friends. As we waited for scores to be posted, I knew that Scott and Don were both on the bubble in their respective classes. When they were posted Don had made the cut once again for the second year in a row. I was really glad that we would be able to shoot together in the finals for the second consecutive year. Although I got off to a rough start on the first target the second day by shooting a low 5 on an alligator, I rolled off 13 elevens in the last 18 targets, which put me in 3rd place going into the shoot off. Unfortunately, Scott didn’t make the cut, but for the battle he’s facing with his hip, I think he did a phenomenal job. If I could shoot like him, I’d be really happy. There aren’t many people who I respect in the shooting arena more than Rick Baker, Don Doherty and Scott Tozier, and I’ve had some pretty close battles with all of them over the years, even though Ricky doesn’t remember a few of ours in Semi-Pro back in the day. Every once in a while I was able to beat one of them, and it made me want to be better. If anyone in New England or New York wants to model their shooting after a good shooter, those three guys are at the top of the book for all styles of archery. A lot of times a shooter will excel in one discipline of archery, but these guys do it in every area. Sometimes I wish I could do what they do, but then I realize we all share our thoughts about the game with each other, and I couldn’t be more thankful for that knowledge. When it was all said and done yesterday, I finished in 3rd place and Donny climbed from 5th to 4th. Last year we finished back to back, too, so it was only fitting that we did it again this year before Donny decides to go in another direction to try another division. I know he’ll succeed because I’ve shot with enough people over the years to know that he has exactly what it takes to be successful every time he shoots no matter who he shoots against. Just as I rooted him on when we shot together, I will root him on when he chases championships that don’t involve me. I love when my closest friends succeed, even if it’s at my own expense. It only makes me better. This 3D season might have been the most fun I’ve had since the first day I ever stepped on a range, and that’s because Jon Brown and Bob Gattorna took the initiative to bring the IBO events back to New England and New York. Since I wanted to see it continue in a good direction and try to bring a giant event to the region like the old National Archery Festival in Merrimack, N.H., or one of the Northeast Championship events that used to be held in the Lake George region, I joined the team of IBO directors in New York. I need people in my region to work with me to help us grow the organization. We need to bring as many people to these events as possible. Encourage friends and family to attend and give me idea about what we can do to improve attendance. The end of the 3D season is a time to realize the accomplishments of others, too. Although I’m sure I will forget a lot of people in this, I’ll give kudos to a few that come to mind as I’m typing this. Congratulations to Brian Kasten for winning the IBO Indoor World Championship this year. I know it was a long time coming, but nobody can ever take that win away from you now — Great job!! Debra Beaupre congratulations on your New England Championship. You worked really hard to achieve it, and you should be extremely proud of how far you’ve come. I’m glad the PSE bow that JB hooked you up with is working great. Jason Kennedy, I’ll never forget the first time I shot with you and when we all learned that your wife has large fingers, but we will keep that between ourselves. Congratulations on a fantastic season that most people would give their right arm to achieve. Brian Purdy congratulations on your shooting display in Maine. That was one of the best days of 3D shooting that I’ve ever seen. I hope it’s a sign of what’s to come next year. Austin Jones, you my man, are an inspiration to me. I’m glad our paths crossed. I’m really excited that you won the IBO National Triple Crown and the World Championship. That is one heck of an accomplishment. I hope you continue moving forward and reach all of your new goals. I took the picture below last year before we were even friends. It’s amazing how things work out. Jeffrey Paes, thank you for showing me that there are other people like me who battle hidden diseases every day. When I meet people like you, it makes me realize that we are all on the same team. You are an inspiration to me. I wish I could shoot as well as you, but I’ll be sure to practice harder this winter, so I can give you a run for your money. Congratulations on your great year. I hope you had fun at the IBO World Championship. You looked like you were a seasoned pro out there. Nate Wilhelm, you have the tools to become really good if you decide to set goals. You will have to work for what you want. Those things don’t come without a lot of hard work. Congratulations on your first year of competitive shooting. You had quite a run. I hope you remember it as you get older. Enjoy your first year of college. Jon Purdy, you have one of the best shots I’ve ever seen. There are many days when I wish I could execute a shot like you do. Congratulations on all of your accomplishments this year. If I’m not mistaken you started by making the cut at the Lancaster Classic and then went on to win three state championships and a shooter of the year title. I can’t wait to see how the next year unfolds for you. Paul Morgan congratulations on your Massachusetts State Championship. You put on a heck of a performance. I hope you’re able to repeat it again next year. It was simply awesome on that course. Rick Baker, you’re shooting skills are unbelievable. I’m glad we finally got to shoot together again this year. I had a great time when we did. Although your trip to my place for a few hours last month probably didn’t seem like much to you, it helped me in a lot of ways, so thanks. Your accomplishments are too many to list here, so just keep it going next year and stay strong and steady. I admire the way your shoot and I value our longtime friendship. Chuck Weeden, you showed me that you have everything it takes to accomplish the impossible. When you put up a score like the one you put up at Northern Dutchess, you should realize the the sky is the limit. Thank you very much for giving me the desire to shoot again and to help others in the process. You are one of the key reasons why I’ve gotten back on the horse and haven’t fallen off yet. George Connors, I’m not sure when you decided that you wanted to make sure everyone in the New England archery circuit knew your name, but you accomplished that this year. I’m still speechless from some of your performances. I’m still not even sure how you did what you did, but it was more than impressive. I can’t wait to see what the future brings, and even if it doesn’t every bring anything like this year again, you will always have that one special year. I know it will continue, though. Thank you very much for making me want to help you and driving me to succeed. Thanks for the support that you and Chuck gave me when I was on the road, too. Congratulations on all of your titles from this year, which are too many to name. Sean Roberts, there’s not many questions about your ability. You can do anything with a bow if you put your mind to it. Just stay strong and steady. With a little more experience on the big state, I think you could make a great showing. Keep working at it. You definitely have everything you need to succeed. Congratulations on your wins this year. Dana Harding, all of those miles turned out for the best. I was really happy to see you make the cut at the IBO World Championship. Congratulations. There’s nothing like seeing one of us old timers with a chance to win it all. Keep at it!! Sara Kay and Ed Kay, you guys always seem to find your way to the top of the scoreboard. Congratulations on all of the fantastic finishes this year and last. It’s always good to see women shoot at a high level. It only helps us to introduce more shooters to the game. Good luck on your elk hunt this year. Bill Romanchick, you put out some jaw-dropping scores this year. I’m glad to see it all coming together for you. There are very few people whom I’ve enjoyed shooting with over the years more than you. You are the man. I couldn’t be more impressed with your shooting. Congratulations on making the cut again this year. You keep giving yourself a chance at the World Title. I root for you every year, and I will continue to do so because it’s really easy to root for a good guy who does the same for you. Thanks for the support over the years. Dad, thank you for continuing to go with me to all of the shoots as you go into your 70s. I couldn’t have a better partner to travel with, talk to, and shoot with. Thanks for everything. Congratulations on your continued dominance on the 900 round throughout New York and New England. Your reign has been pretty impressive. Melanie Gross, congratulations on making the cut at the IBO World Championship. I know you’ve worked hard at it and sometimes it’s an awesome feeling when it all comes together at the right time. I hope you enjoyed the entire weekend and absorbed every minute of Sunday because so few people get to experience making the cut and shooting on the final day. Way to go!! Jacob Slusarz, you are a freak of nature. I’ve never met anyone your age who is so grounded and appreciates the people in your home area. If you continue shooting we all know you will probably be a regular in the winner’s circle in the pro division. You make it very easy for all of us to root for you every time you go to a tournament. Although it’s hard for me to offer someone of your skill level any advice, I hope you were able to gain a little bit from some of the 3D advice I gave you and what bow to switch back to. On your journey forward stay humble and be a people’s pro. Darrin Christenberry has always been a friend of mine since we shot together in the late ’90s, and he’s no different to me now than he was then. He’s a great one to watch when he’s on the range. Congratulations on your phenomenal year. It was a great building block for you, and I’m sure you will keep climbing the mountain. Congratulations on your finishes in the IBO National Triple Crown as well as all of the indoor stuff. ……..and I save the best for last. Congratulations to Don Doherty for winning the IBO National Triple Crown. I can’t tell you how impressive your showing was in those three tournaments. Although I won the last leg, I felt bad in some ways because I wanted you to sweep the series when I knew the overall was out of reach for me. I’ve seen some good shooting before, but you were in the zone for most of the way. I’ve admired you as an archer and as a person since the day I found out we tied at the Massachusetts State shoot a couple of years ago and I won the tiebreaker. Since that time, I’ve gained more respect for your abilities as a shooter and your character. Thanks for listening to me when I call you up to blab or just chit chat about shooting. Thanks for not getting irritated with me when I bitched for 15 hours on the way from Indiana about ricocheting off the arrow. I appreciate all of your time, honesty and integrity. 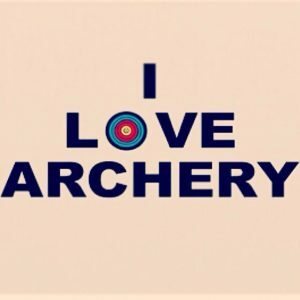 You have made me a better archer and I’m thankful for that. I’m also glad that we’ve both been able to share some of our greatest moments together. I’m giving you a fist bump right now big buddy. So……….until next year………I hope everyone gets even better next year. I apologize to anyone I left out. The ones above are the first ones that came to my mind.